Today. 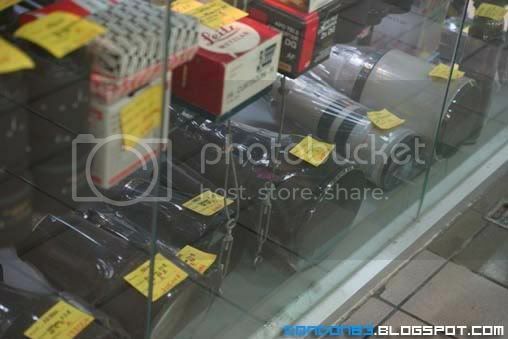 went to Pudu Plaza for some photography equipment shopping.. and here i am infront of YL camera. their used lenses and used camera always impressed me. and maybe you can find a cheap GEM in here. try your luck. 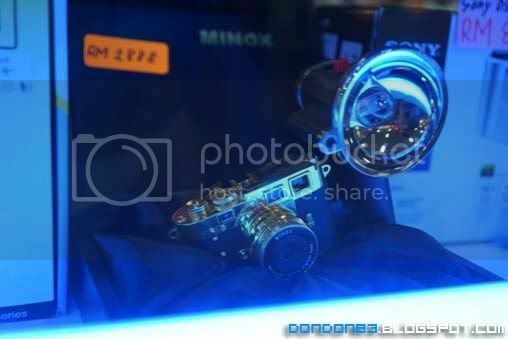 and i found a cute MINOX digital camera. with Flash.. a great collector item. it's Mini Leica M3. 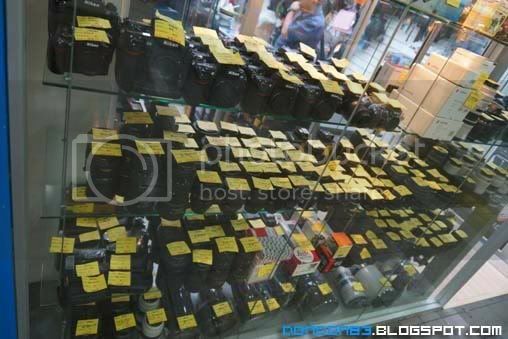 and i stop by in shop beside YL Camera. 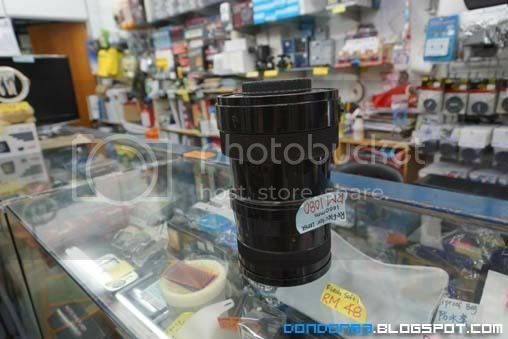 and i found this huge barrel, and it caused me to stop by and have a look..
it's say.. Reflector Lense.. 1000mm!!! seriously? 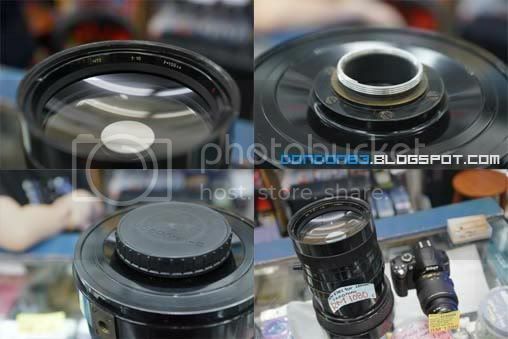 and try look at the size of the lense!!! some more it's made of Metal! which means it's one big heavy lens. 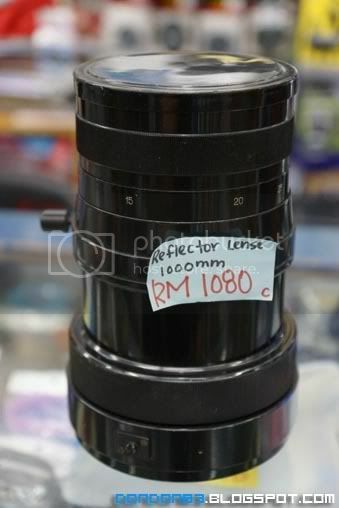 look at the front element.. it say.. 1000mm f10! and it's screw mount.. wonder if it fits my m42 mount? hmph.. and they say this is a Russia lens. 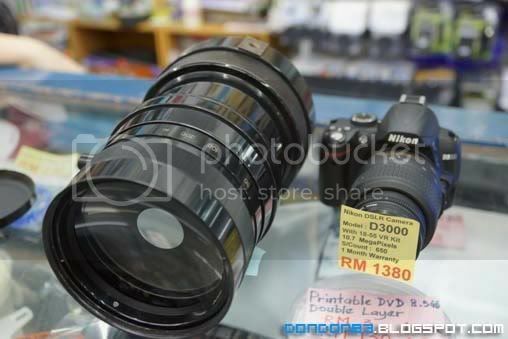 and the previous owner kept it more than 20 years.. now selling for RM1080. way cheaper than five figure price tag from the shop beside..